Class and glamour will be yours with this silver tone tennis bracelet from Mikey London. 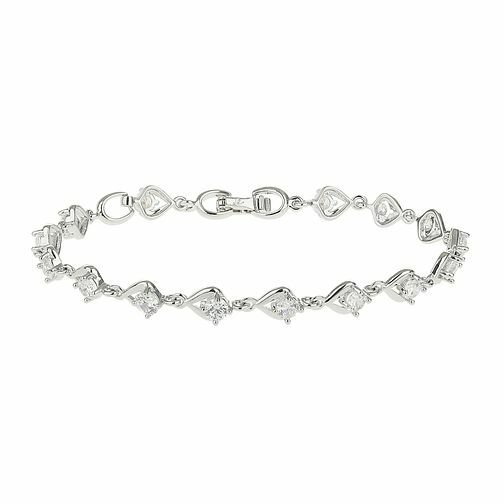 Set with glistening cubic zirconia stones in a gorgeous design, this bracelet makes for the perfect accessory to complete any sophisticated style. Mikey Silver Tone Cubic Zirconia Tennis Bracelet is rated 4.0 out of 5 by 1.